Other websites and magazines have published their year-end best-of lists already, but faithful members of the Idle Time collective know that these are all just prelude to the real List. Idle Time’s Favorite Forty has been rouletted and processed. Egos were bruised and epithets discharged. But in the end, we produced a list that we’re all pretty proud of. Before it’s officially published (although internet adventurers with more accomplished navigation abilities than any of us may be able to figure out how to see the list on our site in advance), we’d like all of you to weigh in. These albums were all chosen by various other media outlets as the Best Album of 2010. There’s a good chance most of them also appear on our list. But which of these did you like best? In his second installment of This Used To Be My Playground, Uncle Isey comments on the growing pains experienced by the segue period into each new decade. 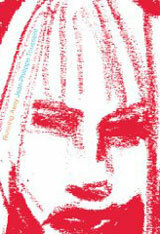 2010, despite its efforts to kickstart a new era (what’ll we end up calling this? The teens? The tens?) will undoubtedly still bear many distinctive connections to the aughts. And when not locked in this identity crisis, wavering in our future reflections as the Year Without a Decade, it’ll likely be referenced in the history books for things like a Haitian disaster, Icelandic volcano, and a Mexican Gulf tarring. Being ever the optimist, however, I have quickly pulled together a list of things for which 2010 will be remembered quite fondly, at least in my mind. My Top 5 2010 Highlights. There are certain years that bear rather immediate associations with some of my favorite films. 1977, 1994, and 1998, along with whatever else was going on at the time, will always make me think of Star Wars, Pulp Fiction, and Shakespeare in Love. 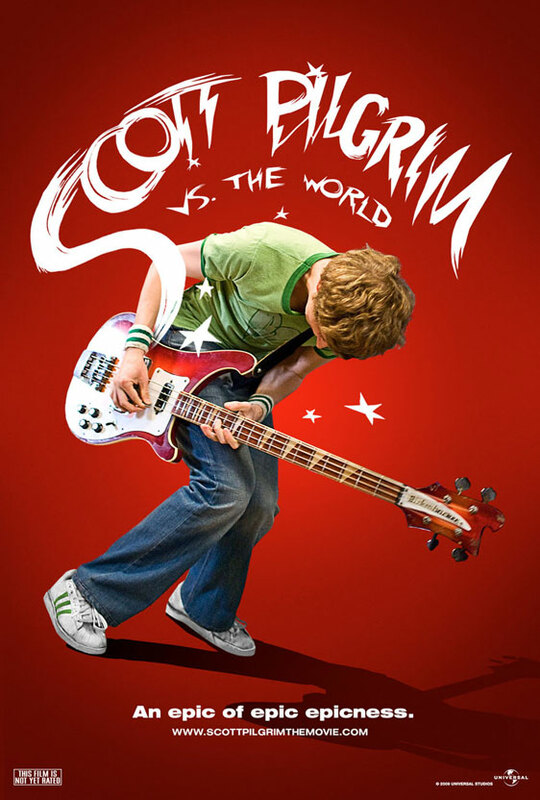 This year we were treated to not one, but two future classics: Edgar Wright’s Scott Pilgrim Vs. The World and Christopher Nolan’s Inception. Comic books, video games, and rock n’ roll. The only thing that could have made Pilgrim more endearing to me personally would have been folding in baseball and staging it in Sweden. And as much as I enjoyed Bryan Lee O’Malley’s original comics, this film is truly a rare feat: a movie that might actually be better than the source material. If I was to do this sort of thing, I might award this novel by Belgian author Jean-Philippe Toussaint my Book of the Year. In so doing, I’d explain, on behalf of the Institute’s Accolades Committee, how a book originally published in France in 2004 and released in its English translation in 2009, could somehow be eligible to receive so important a distinction in 2010 which, incidentally, if I was to do this other sort of thing, would be on a very short list of nominees for the greatest year there ever was. At least in my lifetime. Two thousand ten. Running Away is a frenetic ride from Paris to Shanghai to Beijing to, finally, the island of Elba. The motivations and developments governing each step of the journey are often as cloudy and mysterious as the nameless narrator himself, driven from one page to the next by pure emotion and “dream-like pleasure, distant and hazy” (p. 54). The entire novel zips by in that same haze, the kind of jet-lagged confusion that makes a traveler look back on the last twenty-fours of transit — connections, disconnections, meetings, and meals — as if it happened to someone else, or to a younger you a lifetime ago. The narrator becomes that someone else, and even if we’ve never had similar experiences in our past from which to draw vague recollections (I’ve never been to China, so apart from the cities in Elba bearing sharp similarities to small towns along the Italian coast, I’m in uncharted territory), the emotions are all recognizable. We’ve all felt confusion mingled with fear, sadness drawn from loss, and, most significantly, passion sparked by spontaneity. I’ll confess that, initially, I wasn’t overly excited about the forthcoming Tron sequel, despite fond childhood memories of both the original film and the video game. Then I saw the full-length trailer and caught my first glimpse of “the hot doctor from House” squeezed into her neon-accented black futurefabric. There’s something to be said about costuming. Take Carrie Fisher, whose otherwise simply cute-and-feisty Princess Leia took a turn into Sexual Fantasy momument thanks to a metal bikini and Jabba’s leash. Or a less obvious example, from the other side of the coin: Bridget Moynahan should have made this list, but every outfit she parades out in I. Robot makes her look like the frumpy sidekick whose job it is to accentuate the allure of the more attractive leading lady. Except there is no more attractive leading lady. Just Will Smith perpetually shirtless and showering without a curtain. No wonder this movie tanked. Allow me to apologize for the fact that my first real blog post is nothing more than a re-post of an old entry from another site, with some minor edits and an addendum. I needed to get something on here to get the ball rolling… and that other site, being a paid membership site, is soon going to have one less member. I felt the need to preserve some old ramblings. My “wasted” years at UC Davis studying biological sciences elicited little more than an unreasonable fear of hydrochloric acid and a passionate distaste for scan-trons. I spent three years taking as many liberal arts classes as I could enroll in just to keep my GPA up, before it finally occurred to me that I’d simply be better off changing majors. Always one to make the best out of any given situation, I have recently revisited some of my college coursework. Some quarters were less mind-numbingly dull than others. You won’t be privy to any eight-year-removed insights into paleobotany (easily the worst class I ever passed), but you are about to benefit from this little life-changing revelation. And, really, who doesn’t? After Google Groups and Blogspots and a half-assed attempt at creating a website, The Institute is revving its WordPress engine. Bookmark accordingly.